Between the new Wi-Fi 6 technology and its own software, Killer said gamers can see up a three times “better” in-game latency than a standard Wi-Fi chip and up to a 5x improvement in video streaming. The new killer AX 1650 includes the ability to manage your traffic and prioritize gaming. 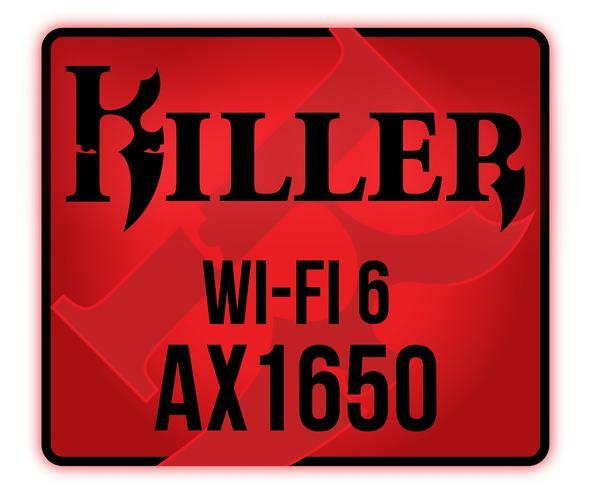 Many of the features in the Killer AX 1650 networking adapter aren’t necessarily new to people familiar with Killer Wi-Fi or networking chips. But people who are used to more staid network control panels will impressed. 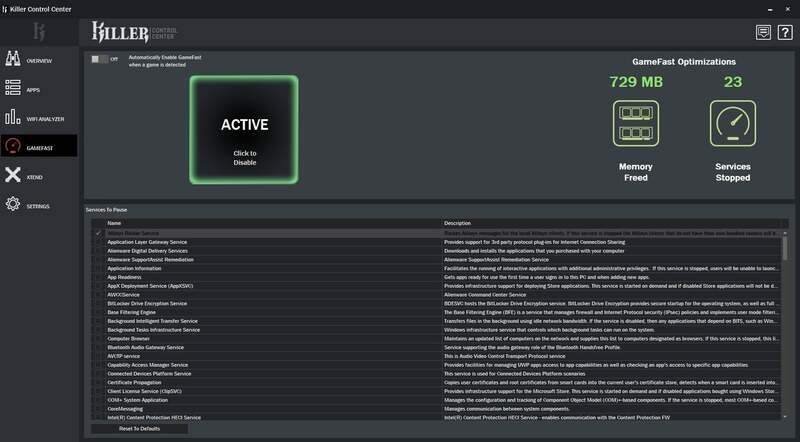 Windows 10 has a built-in ability let your laptop act as a hotspot, but Killer’s Wireless xTend takes it a step further by automatically cloning your home router’s credentials, so other devices can connect seamlessly. An updated Killer Control Center will let gamers manage and visualize network traffic. 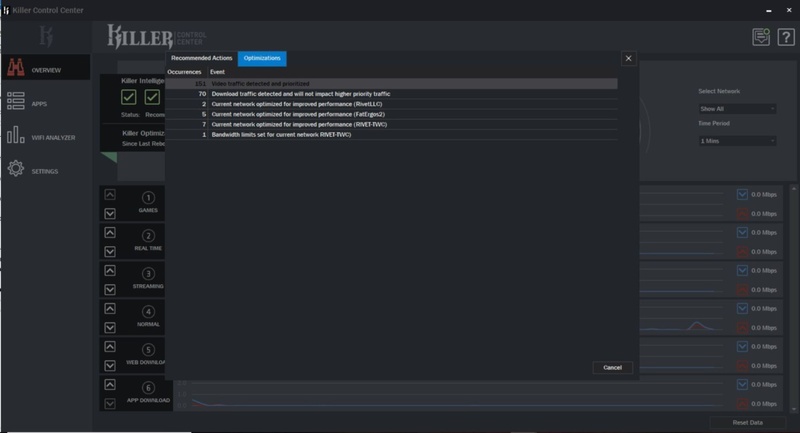 You can set bandwidth limits based on the application and have it stop unused processes too—including automatically blocking Windows Update. The bandwidth limits, Killer claims, can free up 10 percent of CPU cycles and 20 percent of system RAM while gaming. Although it’s hard to quantify as every scenario is different, Killer claims this should improve gameplay in some situations. We’d tend to agree, but note that it’s going to be highly dependent on the game, your hardware situation, and the network demands from your applications and operating system. Killer’s GameFast lets automatically stops background services from running while gaming—and yes,it can stop Windows Update too. Laptops with both the Killer 2.5Gbps ethernet chip and the Killer AX 1650 will also get the company’s DoubleShot Pro feature, which lets you keep all of your gaming traffic on ethernet and all of, say, your YouTube, Facebook, and browser traffic on wireless. The Killer AX 1650 is available as a standard 22mm x 30mm M.2 network card as well as a 12mm x 16mm card for permanent use in thin laptops. Alienware is among the first companies to adopt the newest Killer Wi-Fi 6 chip. It’s no surprise, since the company included Killer’s 2.5Gbps ethernet chip in its badass Area-51m laptop. Is the Killer AX 1650 enough to convince all gamers to cut the cord? Probably not. Even the company admits that most gamers are wedded to the promise of 100 percent connectivity and no Wi-Fi chip maker can stop interference when a Hot Pocket is being heated up in your microwave. But for the vast majority of gamers who don’t play competitively, the company says, Wi-Fi may finally be good enough.